Becoming a medical assistant has a lot of benefits, all of which we explore here. To become a medical assistant, and get medical assistant grants, you need to be confident in your choice of job. There are many training programs available to those who wish to try them, but they need to be chosen according to the candidate’s needs. Although you can gain a lot of on-the-job experience as a medical assistant, you need a degree or diploma before you begin. Becoming a medical assistant is a journey that takes a lot of work and commitment, as well as a certain amount of financial commitment. However, it is a field that almost anyone can enter provided they have the right type of personality and the desire to succeed in this field. When you choose the program you want to attend, you need to consider a variety of things to ensure you get the best training possible. Firstly, you have to ensure that the program is being offered by an accredited institution. This ensures that the program is of a high quality and is recognized by potential employers. An accredited institution is easily recognized as one that is aligned with an official body. If you are not sure whether an institution is accredited, you can probably easily find out just by asking, or doing some research on the internet. Another important thing to look at is the content of the course. You will have to learn not only how to be a medical assistant, but also how to handle clerical and administrative issues. A medical assistant’s job is not just providing physical care, but also handing organizational and other duties too. Next on the list is checking whether the institution offers financial aid. You can apply for medical assistant’s grants, which will be discussed further on, but need to ensure that this is recognized by the institution. If you are already working, you may find that the company you work for provides financial aid for your studies. Whether or not they do, you will have to check the class times to ensure they do not conflict with your work schedule. If you are not working, checking to see whether the institution offers placements after graduation is also important. Applying for a grant is sometimes the only way that certain individuals can afford to study, so having a broad knowledge of these is essential if you hope to make it happen. Do some research online, and read a lot of articles, to find out what grants are available to your demographic, that is, your age, race and gender group. Becoming a medical assistant and getting medical assistants grants requires a few specific personality traits too, including being emotionally intelligent, intuitive, patient and good with people. As a medical assistant, it will be your job to ease patient’s fears and make them feel comfortable. You will also need to be well-organized, since there is a lot of administrative work that comes with being a medical assistant. A medical assistant has to be a pillar of patience as they will often be faced with clients and colleagues who are upset and frustrated. Degree: A degree offers you a broader education than a diploma. Whether you choose to become a medical assistant or pursue another career path along the same lines, a degree can help you do that. A degree is a formalized qualification from a university that is often recognized more widely than a diploma or certificate. Diploma: This is a direct approach to becoming a medical assistant and can usually be completed in a year. If you want to pursue a career as a medical assistant, getting a diploma is sufficient. Certificate: Like a diploma, a certificate is a yearlong program that takes you on the right path to becoming a medical assistant. Getting a scholarship or a grant is great for those hoping to study to become a medical assistant, since the money doesn’t have to be repaid once you have completed your studies. A scholarship is usually given to students who achieve some kind of exceptional accomplishment or merit. Some are given to those who do very well academically, while others receive a scholarship based on sport achievements or excellent artistic skills. In some cases, you can earn a scholarship based on an essay, but this is not the most common method of getting it. A grant is a financial contribution to the education of someone who comes from a specific background or group who needs the money to study. Grants are usually given to those who have no other financial method to pay for their studies, usually because they come from an impoverished background. FAFSA – This is not a grant per se, but is a document that you can fill out to determine which, if any, grants you will be eligible for. This also includes student loans from various financial institutions. Getting a grant this way ensures that you do not have to pay for your education, while if you qualify for a loan, you will be able to get better rates. Alice Newell Joslyn Medical Fund – This fund was set up specifically for Latino students seeking to become medical assistants and offers up to two thousand dollars a year to those living or attending school in San Diego. You will need to reapply for this scholarship on a yearly basis, but if you get it, will go a long way to contributing to your education. Maxine Williams Scholarship – This scholarship is available to those students who enrolled in institutions that are accredited with the Commission on Accreditation of Allied Health Programs. Before applying, you should have completed at least one semester at an accredited school, but if you do qualify will receive a thousand dollars towards your education. Only those students with a GPA of 3.0 or higher will receive this scholarship. Joint Commission on Allied Health Personnel in Ophthalmology Program Scholarships – Anyone interested in becoming an ophthalmic medical assistant can apply for a range of scholarships offered by the Education and Research Foundation. To apply, students have to be selected by their schools and if they are successful, receive a financial amount of $500. There are a variety of other scholarships that fit into this category that students can apply for. Others – There are many grants and scholarships that are specific to certain states and corporations and if you do a little research, will be able to find them. Try using a search engine online and searching for grants, scholarships and even loans in your area. Many years ago, the government created the Vocational Education Act, which is aimed to providing people with education with the aim of getting jobs. However, it is based on only certain professions such as agriculture, trade and industry. Students who qualify under this act stand to receive grants from the government that allow them to study to reach their job goals. Students can apply for Regional Occupational Programs that offer training to juniors and senior in high school, provided they are 16. Students can also apply for the Workforce Investment Act, which prepares them for working, and is available to the youth and to unskilled adults. Job Corps offers free education and training to those aged 16 to 24, courtesy of the Department of Labor. Low income mothers can apply for Pell Grants which allow them to re-enter school and earn college diplomas, providing they are entering technological colleges, vocational schools, or trade schools. In some cases, when a student cannot get a grant or a scholarship, they will apply for a student loan. If there is a way to avoid this, you should try to, since the interest rates on loans are usually very high. 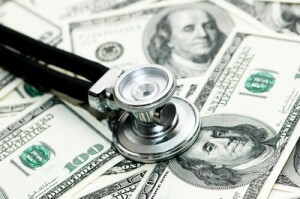 Getting medical assistant grants may be more difficult, but will be worth it in the end. When applying for a student loan, you may have to go through interview processes and even ask parents or friends to provide surety for you. A lot of banks will not give loans out to those they feel won’t be able to find a high paying job after college, such as those studying in the arts or humanities fields. In terms of being a medical assistant, you would have to discuss the terms of a loan with your bank, and may be able to negotiate a lower interest rate and a longer term. The problem that so many graduates experience with loans is that they end up paying them off for many years after they graduate. When you have decided on a medical assistant’s grant, you will have to go through an application process. In some cases, this means writing essays, submitting application forms and even going for interviews. When this happens, you need to identify why it is that you want to become a medical assistant. An interviewer will want to know what skills and qualities you think you have that qualify you to study in this field, and what you hope to accomplish. Think through why you have chosen this field, and how you hope to affect people in the future and this will help you answer these questions. In an interview situation, remember to remain professional at all times. If you are faced with a question that you do not have an answer for, be honest and upfront. Once you have completed your studies, you will want to enter the medical field, but this may not be as easy as you anticipate. Many graduates are faced with the problem of trying to find a job, and not succeeding. Your first point of call should be the institution you have studied at. Discuss your options with them and ask about the possibilities of job placements. They may have contacts in the industry and may be able to set up interviews for you. Next, scour the newspapers and job websites for any positions matching what you are looking for. Make a list of the positions and send your resume to the HR manager of these companies. Then look at companies you potentially want to work for and send you resume to those companies too. They may reject you but if you don’t try, you will never know. When you are asked to come in for an interview, bring an academic transcript with you, so that the interviewer can see in which subjects you excel. They will very likely ask you why you want to be in the field, and why you want to work for their company, so be prepared with an answer. Getting grants, scholarships and loans is not easy process, so if you are looking for financial aid in your field, be sure that this is really what you want to do with your life. Do the research and ensure that you meet the requirements of a medical assistant’s grant, so that you are assured of the help you need while you study. And hopefully, one day, when you have graduated, you will in turn be able to help someone else become a medical assistant.